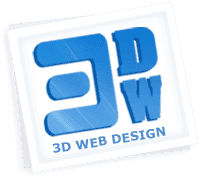 3D Web Design - office Sofia offers Web Design and web sites development in Sofia, and our website - news about Web Design in Sofia City, web designers in Sofia and web design companies in Sofia. We are Sofia based company for making website design and development, but not just one of many companies in Sofia. Contact phone: (+359)898615736. Address of "3D Web Design" in Sofia: Sofia 1527, street Panaiot Volov 25, 2nd floor - about fifty meters from the corner with Stara Planina street. Landmarks nearby are: hospital "ISUL" - about 300 meters. Intersection of Levski Boulevard and Dondoukov - about 500 meters. Here you can get unique web site with low prices, made and optimized for search engines and Google. Web sites of our clients are ranked in Google equally well, and our site. 3D Web Design offers also website development in Sofia. The company offers web sites, dynamic website with admin panel (custom or based on some CMS) and web site optimization - seo (search engine optimization) after web site development.